Well since leaving France we’ve come quite a long way (now about 3,500km on the clock in fact). We shifted across Germany pretty fast, eating nice fresh apples and sticky spätzle by the Bodensee and then great griesenschmalz in the Bayrisches Wald. 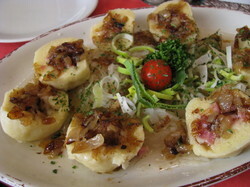 But we wanted more – spätzle only get you so far – so we crossed over the mountains into the snowy Böhmerwald and the Czech Republic, immediately being rewarded with the first dumpling sightings of the journey. 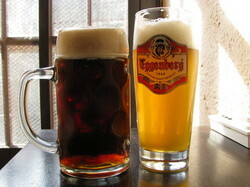 I’d known the Czechs liked their beer, but I’d had no idea they were so good at making wine. Until we happened to visit Kroměříž, an unpronouncable old market town in southern Moravia, Czech Republic. 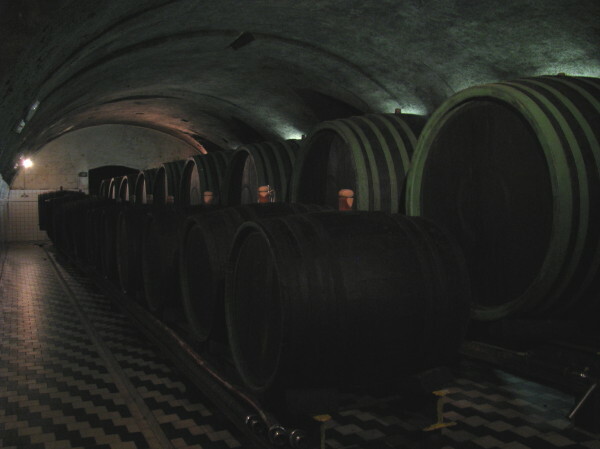 In the centre of town there is a huge archbishop’s palace, complete with peacocks in the gardens and hundreds of barrels of aging wine in the cellars. It turned out they’d been making and storing wine here for 800 years, and it tasted pretty fantastic too. In fact we’re drinking a bottle of their rulandské šedé right now. 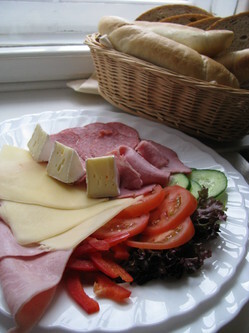 More meat and cheese – but different rolls. Today Barnaby went to see the Eggenberg brewery in Český Krumlov, where the Czech brewers have been producing beer according to their own secret recipe since 1560! 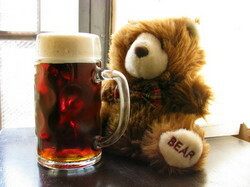 There was quite a lot to see and do, so at the end he treated himself to a large dark organic beer. Tasty.